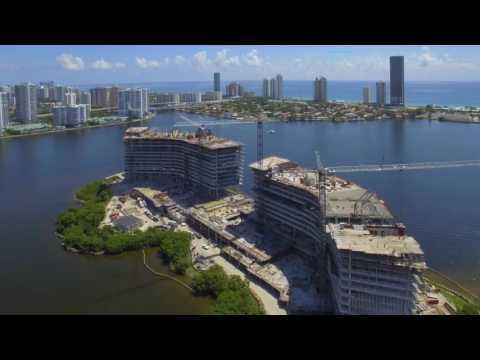 Prive condos is an ultra-luxury, twin-tower condo development designed by Sieger Suarez and developed by Gary Cohen and BH3 Management, LLC. Each tower rises 16 stories and has just 74 condo residences. 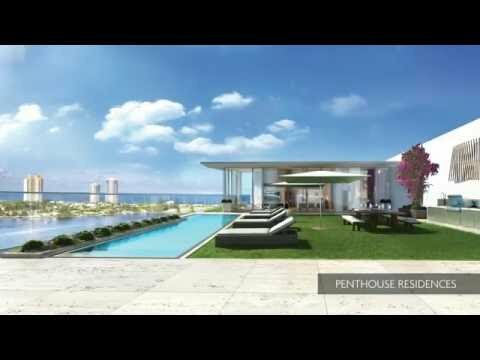 The interiors at Prive condominiums were designed by Steven G.
Prive is located on its own private island at 5000 and 5500 Island Estates Drive in Aventura, Florida, offering breathtaking water views in all directions. Prive has an unprecedented laundry list of amenities including its own private marina, tennis courts, 10,000 square foot spa and fitness center, game room, jogging path, private dining and social rooms, private beach, full-service concierge, and more. Prive condominiums was recently completed with closings currently underway. See our Prive review and photo tour. Prive condominiums is just 7 minutes to the shops and restaurants at the Aventura Mall, 15 minutes from the luxury shops at Bal Harbour Shops, and 35 minutes from the Fort Lauderdale International Airport and Miami International Airport.